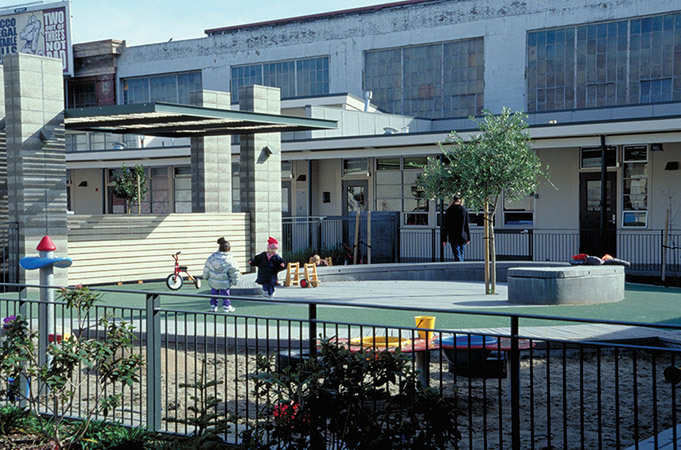 For the Child Development Center at St. Joseph’s Village, we renovated and added to an existing elementary school and developed outdoor space for play and parking. 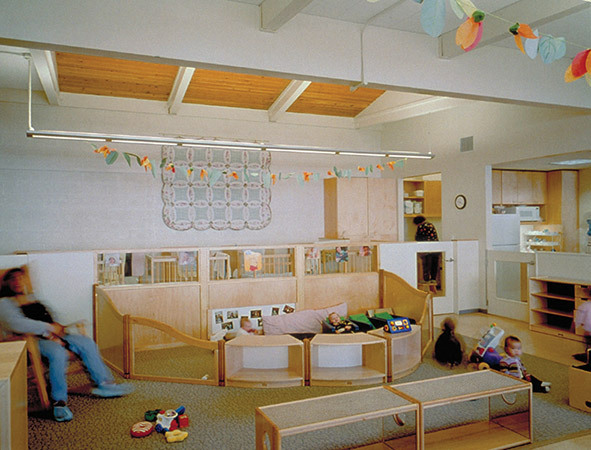 The project included reorganization and expansion of interior spaces to accommodate 125 children: infants, toddlers and preschoolers, with both Head Start and market-rate clients. 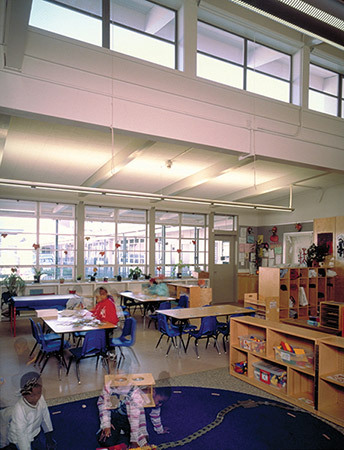 Interiors were developed with neutral colors and warm wood casework, while each classroom was given direct access to the exterior. 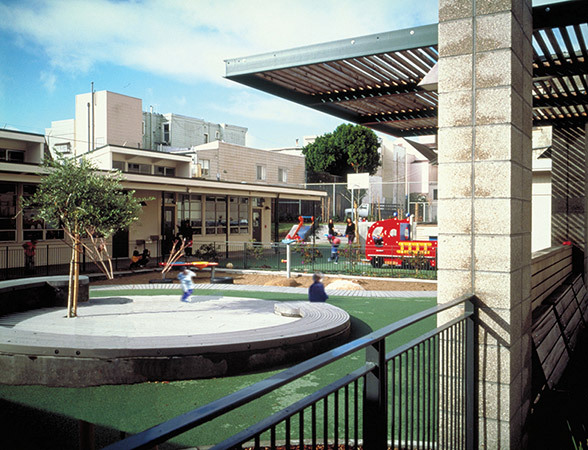 Outdoor areas were designed to be flexible and allow for a variety of activities for children of all ages, and include a large covered area that serves as a play place to develop gross motor activity during inclement weather. 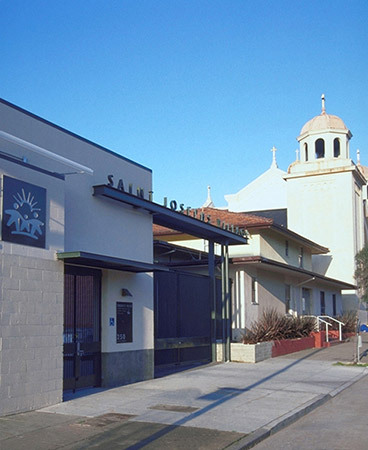 On 10th Street, we developed a new facade to give the center a stronger street presence and create a more secure entry.